The National Museum of Natural History, Sofia (NMNHS) and the Bulgarian Biodiversity Foundation (BBF) devote the month of April to the newest nature park — 'Belasitsa'. 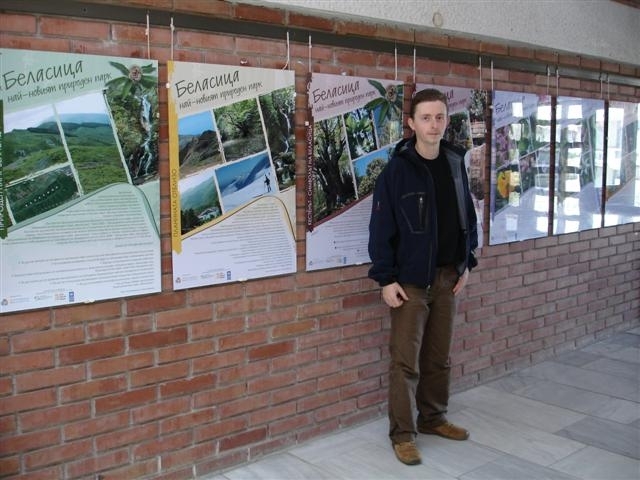 The official opening of the photo exhibition 'Belasitsa — the newest nature park in Bulgaria' will be held on 25 March 2011 at 17:00 in the lobby of the museum. Author of posters is the young photographer Piotr Rzerzycha. The event will be accompanied by a presentation of one of the best photo guides of plants in Bulgaria — 'The interesting plants of Belasitsa'. 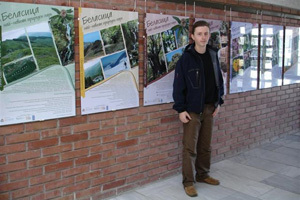 The exhibition includes posters for NP 'Belasitsa' and thematic trail panels 'The life of the chestnut'. They will remain at the NMNHS until 26 April 2011. Those who are eager to know will be able to purchase various information materials about the mountain — books, leaflets, postcards. In April expect a series of lectures on Belasitsa Nature Park and a presentation of tourist guide of the mountain, located in three countries — Bulgaria, Macedonia and Greece.